Important Notification: Only critical bug fixes will be done for MC: 1.10.2. 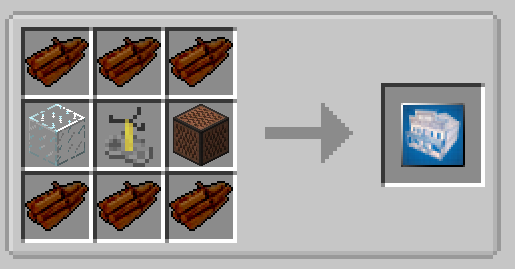 We are working on flattening Blocks\Items introduced with this mod. Please see Github Issue #93 for more information and discussion. This mod is a spinoff of the starter house; previously a part of Repurpose. It is meant to be a companion to Repurpose, but works just fine without it. More structures are being developed and added as the mod progresses, so be on the lookout. Feel free to share requests and constructive criticism in the comments. Here's a new Mod Spotlight by Grok DuckFarmer! Configurable Starter House - Tired of spending your first day or two just trying to lock down the basics of survival? This handy little item simply requires you only provide one thing. A location! Tools, Food and Shelter, in one convenient quick start package. Perfect for players that want to get a jumpstart on their survival games. Alternate Player Housing is now integrated and available to choose from the same Starter House pattern. Warehouse - This is a mid to late game structure which will contain all of your storage and vanilla machine needs. There's a lot of materials needed for the crafting recipe but it will be worth it. Upgraded Warehouse - Same as the warehouse, but the top floor is populated with enchanting tables, brewing stands and anvils. Chicken Coop - A place for your chickens to call home! Advanced Chicken Coop - A more efficient dual-chamber coop design that automatically collects drops from the chickens in the upper chamber, and also allows you to keep chickens in the lower chamber to use for food. Chickens can be added to the upper chamber by filling the installed dispenser with eggs. While you can manually trigger the dispenser via the included button, we recommend installing a redstone clock next to it to automatically fire any loaded eggs for you. Here's a closer look at what you can expect for the Advanced Chicken Coop. Horse Stable - A nice small shelter to park your noble steed, companion donkey, or irritating nag. Advanced Horse Stable - You haven't seen equestrian flair like this since the Gangnam Style music video! Includes 4 stalls; perfect for multiplayer, or horse breeding. Barn - Tired of sharing a cramped one bedroom house with a couple of actual pigs? Sick of inconsiderate cows creepily watching while you change? Sheep ironing your pants all wrong? This is the building for you. With 16 total pens, you can separate sheep by wool color, or even just use the outer pens as a buffer to prevent already captured livestock from escaping while you lure new livestock into captivity their doom a better life. Produce Farm - A lit, tilled field with irrigation and fencing, for all of your various crop needs. Note: Structure is provided as seen; pre-tilled, but not populated with produce. Tree Park - A park-like setting for planting/farming/cultivating your trees! Note: Trees are not included in the design, so you are free to populate them with any of your choosing. Monster Masher - Need some EXP or just some some mob drops? This is the structure for you! With a spawner for Zombies, Skeletons, Spiders and Creepers you will have plenty of loot to use. The building comes with chests to store all of that loot. You will still have to kill the monsters yourself. You can even turn the spawning on and off with a flip of a lever thanks to a system of redstone lamps. Note: The monsters will still have a fair amount of health when they drop into the first floor. Be sure you have a weapon. While they cannot escape, they can still hit you if you get too close. Nether Gate - In between the villager's incoherent chattering, I was able to make out the legend of a mythical beast who's flames were so intense, they were thought to have been conjured forth from hell itself! Though the beast is long dead, its remains lend some validity to the legend. Note: You have to light the obsidian as per usual, before you can go to the Nether. But it's a large portal and has a slick little nether scene embedded behind it. Bridge - A new little multi-use recipe that serves 2 functions. You can either place it against liquid to create a bridge over water/lava/any mod liquid. Alternatively, if you're not targeting a liquid, or ground block, you can place the bridge in mid air to create sky-ways. The bridge goes for 50 blocks, and is lit with torches, and has 10 use charges. Lastly, this wonderful little tool also includes the preview function built in (displays a phantom length of 5 blocks so you can see where it starts in relation to where you're facing). Machinery Tower - If you want a basic building space (but inside because the outside can be dark and scary), this is the building for you. Comes with enough space for machines and comes with a skylight for those machines which need sunlight. There is even a small rail system for minecarts to be transferred between the ground floor and the roof. The roof is completely lite and open for those machines which need to be outside. Defense Bunker - This Structure is designed as a place to defend in PvP or heavy monster servers. All of the windows are trap doors to allow you to shoot out of them. Ender Gateway - Need a way to get to the end but cannot found a fortress or don't like where the fortress spawned? This is the structure for you! Aqua Base - This building is designed to be created under water. It can be made above ground too if needed. Grassy Plain - It doesn't look like much here, but it allows you to clear a 16x16 area with flat grass. Which is great if you want to landscape a large area. Magic Temple - A small building but has enough space for a fully upgraded enchanting table and a brewing station. Fish Pond - If you want a way to fish but there isn't a good lake around, this is the item for you. It is even deep enough to spawn squid! Greenhouse - This is a great building to house your interior crops. Villager Houses - This item is used to generate buildings which mimic vanilla villager houses. This is a multi-use item so you can create 10 buildings using this item. Moderate Houses - This is a multi-blueprint item which allows the player to make a number of different styles of houses. Note: this building is only available for Minecraft versions 1.11.2 and later. Spruce House: A moderate house primarily made of spruce. Acacia House: A moderate house primarily made of acacia. Earthen Home: For when you want to feel that down to earth feeling. Note: This building is only available for Minecraft 1.12.2 and later. Watch Tower - A building which is great for a keeping a look out for those pesky monsters. Bulldozer - This isn't a building, this breaks all of the blocks within a 16x16x16 block area. It's expensive to craft, but it provides all of the blocks broken as drops as if you broke them yourself! It can be used up to four times and can be repaired in an anvil! Note: This item is not usable until it's enhanced in an anvil. Note: Cannot break things which need a higher harvest level than diamond and cannot break unbreakable blocks (bedrock). Welcome Center (1.11.2+) - This structure is intended to be built close to world spawn to give players on a server a great place to rest and relax or just meet up. There is no crafting recipe for this structure as it is intended to be placed by server admins. This structure does contain some advanced blocks (such as sea lanterns, jukebox, carved prismarine). This is a very large structure and take some time to generate. 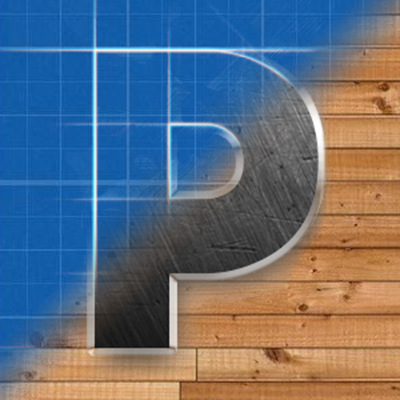 Structure Part(1.12.2+) - This item is used to create parts of buildings. This is a multi-use item which can be used 10 times!. Build a wall, build a wall with a door, build a wall with a hole in it (called a gate), build a diagonal wall (stairs), build a frame for a cube! Non-Stairs type walls can be any size from 3x3 to 9x9. Stairs can be any size from 1x1 to 9x9! Click the spoiler for all of the parts which can be created by this item. Jail - This structure allows you to house those pesky villagers (or illagers). It has an inside guard station with a lifelike guard. The guard station has roof access for you to patrol the jail grounds. The cell block comes with 3 cells, each with a crude "bed", wash basin and painting. All cells and the doors to the work yard can be opened by a lever in the guard station. In the far corner of the work yard there is a watch tower to keep an eye on the prisoners. This watch tower can be accessed from outside of the prison as well as the roof walkway. Note: For those wanting to use this on players for servers. You would need to make modifications to this structure so player's cannot break through walls and floors and what not. This is just supposed to "look" like a prison. Not be a prison (except for NPCs). Saloon - A fun structure for you and your fellow cowpokes to rest after a long say herding those cows. There's a nice spot of water for your horses and some potions by the bar to quench your own thirst. Be careful around the bartender though (not included), there's a sword back there in-case any of you varmints get ornery. Structure Preview - All structure GUIs include a "preview" button. This will create a shadow structure in the world for you to see what it will look like when it's placed. This will give you the opportunity to make sure that you have enough space for the structure or to make sure that it will be placed where you want it to be placed. 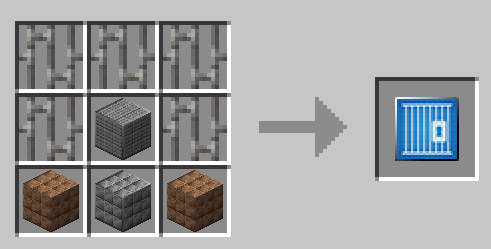 Block facings for fences, torches and other similar blocks will most likely not have their proper facing when rendered in this fashion, they will look correct when placed. Note: The only structure you cannot preview at this time is the Basic Starter House, all other starter house types can be previewed. Note: This functionality was adapted from Botania's Visualize functionality. The mod info and source code has been updated to state as such as well. http://botaniamod.net/license.php. Thank you to all of the people (found below) which have contributed to the translation of this mod! These translations make this mod more accessible to more people. If you want to contribute a cool custom structure for others to enjoy we have some guidelines. You must use vanilla blocks or blocks added through this mod. If you think you need a custom block for the design let us know and we can create that too. We reserve the right to change the design as necessary for balance or aesthetics. If you want, you will be credited for contributions on the mod page. Provide your sample world through a standard file sharing site such as DropBox or Google Drive. Send a message with a link to your saved world to WuestMan. Provide a description of this building. What would it be used for or is this just a aesthetic building? We will be "flattening" any blocks and items introduced with this mod so that the conversion to 1.13 is smoother. This WILL remove items\blocks from worlds, we will attempt to create a few versions where there is a pre-flattened version and post-flattened version so blocks\items do not get lost. Feel free to use this mod in any Modpack, we just ask that you please link back to this mod page in your description. Any new structures coming? I love this mod, and I dream to have more variety of buildings to "materialize"! Nothing right now. Lots of family stuff goings on. Also, I just started the 1.13 updates and there is a LOT of changes to do so it will be a while. I know there hasn't been a lot of updates here for a while, and I am truly sorry about that, just haven't been feeling it. If you have a concept of what you want to see "materialize" please let us know! We are always looking to add fan requested structures! Whatever you are thinking of, whether it's super descriptive or not we will make something work. As a shameless plug....we already have "a barn for 4 horses" :) It's the advanced Horse Stable. Just curious, is there a way to slightly modify the structures that this mod comes pre-loaded with. For example in my modpack I am looking to edit the starter houses to add in some items/blocks that are in my modpack. Does this option exist? No it does not. The mod is fairly static with the structures and what's in them. I'm having a difficult time downloading this. Do i just drag this in the mods folder? (I tried this but it's not working.) EDIT: This isn't for 1.13 is it? This has not been updated to 1.13 yet. I won't update until Forge is more stable. It is rather chaotic right now with their updates. Until that stabilizes and I update, I only support up to 1.12.2. Ah i see. I'm rather new here so i didn't know what version this was for. Hopefully Forge gets their stuff together. Do you know of any other mods similar to this one for version 1.13? This is a really cool mod! Sorry if you get this question often, but I was curious if it would be eventually possible for a feature to save player-built creations, similar to structure blocks, and use them as blueprints? I think it would be a very neat feature for servers, so they can have their own original builds for players to choose from as well. I understand it may be very difficult to implement, though. Kaojinn and I where working on a way to implement this when we found out about this mod (https://minecraft.curseforge.com/projects/structurize). It's pretty neat and should be able to do what you want. Just a question. What format are the prefabbed structures in the jar file saved as? I'd like to try expanding the possible structures and recipes for my own server I have with a small group of friends. They are g-zipped json files. I don't use the Structure Block's json file layout. It's my own custom layout. I don't load structure files from the directory at all, it's all from the jar resources itself. If you're going to add your own for your server your best bet it to branch the code so it's built into the mod. If you would like to add structures to the main mod, I provided some guidelines in "Contributing Structures" section above. Actually I like the idea of submitting structures. Once I get a handle on how you decide what resources are used for constructing the structure I might include that as well in the submission. Any tips? Use any blocks that are in vanilla. This way it can be used by any player regardless of other mods installed. If you need a particular style of block created, we can create it. However, if you want an exact copy of another mod's block, that cannot happen but we can put our own artistic spin on it :). The structure can be of any size but keep in mind how long it could take to generate as the mod only creates 100 blocks every tick. Oh, I have an idea for 2 or 3 more starter homes. I will use vanilla blocks. Of course this would be 1.12.2. We have no plans to update the server for 1.13 until such time as the mods we REQUIRE are all updated which could be a while. They will also fit the footprint of the current starter homes and no larger. Love this mod! Great for those who don't like building in survival but still want a build that feels 'earned'. If I can make a suggestion - how about a large/grand house? Kaojinn and I have thought of this, but we have been busy with home\work\family stuff for a while now and we haven't had that *spark* of creativity yet due to those other silly distractions ;).